NFC South roster reset: Will a rival rebound to dethrone Saints? 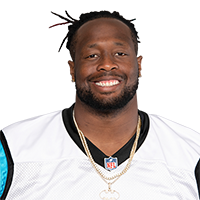 Published: Dec. 2, 2018 at 03:54 p.m.
Tampa Bay Buccaneers safety Andrew Adams records his third interception against Carolina Panthers quarterback Cam Newton. Published: Dec. 2, 2018 at 03:32 p.m.
Tampa Bay Buccaneers safety Andrew Adams records his second interception of the game. Published: Sept. 17, 2017 at 02:17 p.m.
Tampa Bay Buccaneers cornerback Robert McClain picks off Chicago Bears quarterback Mike Glennon and returns it 47 yards for a touchdown. Published: Nov. 3, 2016 at 09:42 p.m.
Atlanta Falcons QB Matt Ryan fumbles on a strip sack by Tampa Buccaneers defensive tackle Gerald McCoy and the Buccaneers recover.